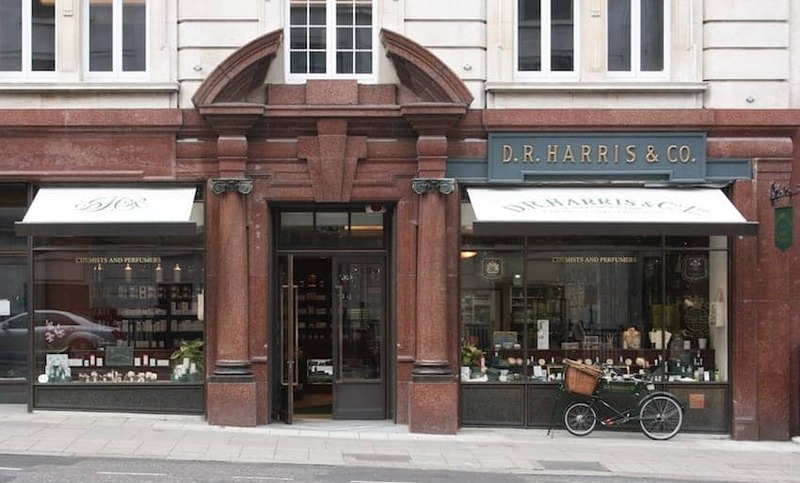 D R Harris was founded in 1790 as an apothecary and still operates on the same road where it was originally set up. From selling lavender water, colognes and perfumes to the court of St James, the extensive range now includes soap, shaving and skin products for men and women and there is also a full service pharmacy for which they hold the Royal Warrants to both Her Majesty the Queen and HRH The Prince of Wales. A visit to the shop is a step back in time where the original Victorian pharmacy furniture is still in situ. Customers can try out all of the products and shaving brushes in the shop.